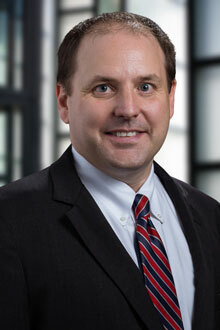 Matthew M. O'Leary is a partner in the Boston office of Lewis Brisbois and a member of the General Liability Practice. Mr. O’Leary is a trial and appellate lawyer with experience in a broad range of civil litigation matters. He has significant experience in the areas of professional liability, premises liability, products liability, construction law, employment law, insurance coverage and business disputes. Mr. O’Leary has tried numerous cases in federal and state courts in Massachusetts and has been admitted pro hac vice in jurisdictions throughout the United States. Mr. O’Leary has appeared before the Massachusetts Supreme Judicial Court, the Massachusetts Appeals Court and the Maine Supreme Judicial Court. Mr. O’Leary also counsels clients on risk management and contract issues. Wilmington Trust Co. v. Sullivan-Thorne, 2013 Me. 94, 81 A.3d 371 (in foreclosure action, reversing award of summary judgment against bank based on claim preclusion and holding, on issue of first impression, that foreclosure actions cannot be brought as counterclaims under Maine law). Broderick v. PNC Financial Services Group, Inc., 919 F. Supp. 2d 178 (D. Mass. 2013) (granting motion to dismiss holding that mortgagor’s claim against bank for violation of M.G.L. c. 93A was barred by four-year statute of limitations). LeBlanc v. Logan Hilton Joint Venture, 463 Mass. 316 (2012) (affirming award of summary judgment, in part, to architectural firm on contractual indemnification claim in wrongful death action). Hercules Chemical Co. v. Mass. Dept. of Environmental Protection, 76 Mass. App. Ct. 639 (2010) (holding defendant’s decision to delist septic system additive as approved product for sale in Massachusetts was arbitrary and capricious and holding manufacturer had right to adjudicatory proceeding). Koe v. Mercer, 450 Mass. 97 (2007) (affirming award of summary judgment on statute of limitations grounds to former church elder accused of negligent supervision of church pastor who engaged in wrongful sexual conduct). Ahanotu v. Massachusetts Turnpike Authority, 466 F.Supp.2d 378 (2006) (awarding summary judgement to plaintiff’s former employer on claims for discrimination and retaliation). Recognized as a Massachusetts Super Lawyers Rising Star by Law & Politics Magazine in the field of Professional Liability: Defense, 2008-2009, 2011-2015.